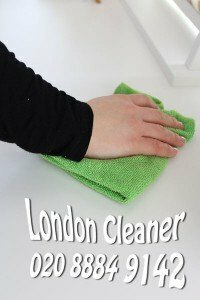 If you are searching for reliable commercial cleaners in North London you are at the right place! It is vital to hire commercial cleaning in North London to maintain a germ-free working environment. If you would like to have a presentable and successful business, a clean working place is a vital aspect. Workplaces are one of the main breeding settings for bacteria and microbes. It might affect the productivity of your workers and most importantly their health. Why choose our commercial cleaners North London? London Cleaner works with qualified contract cleaners on a everyday, weekly, fortnightly or once-a-month basis dependent on your wants. Our staff is fully trained in all aspects of contract cleaning and insured, too. Our office cleaners have references accessible on appeal. A very significant part of our selection process is we make calls to the cleaner’s previous bosses, in order to ask precisely about their honesty. They are obligated to give us evidence of identity and address. If they are not able to provide us with references, we cannot give them the job – no exemptions. Another great benefit is our low cleaning prices – find out more. Our teams will perform all office cleaning errands with easiness and provide you with a hygienic and tidy workplace to work in. We also provide other cleaning services from upholstery cleaning, carpet cleaning, end of tenancy cleaning and window cleaning. For a free quote and more info about commercial cleaning North London, please give us a call now on 020 8884 9142.